Last week was a pretty rip-roaring one in the land of Hope&Glory what with political gnomes launching and then hitting broadcast news and the small matter of a cat casting to officiate. However, with this weekends royal events, it transpires that the work didn’t stop on Friday in the end. 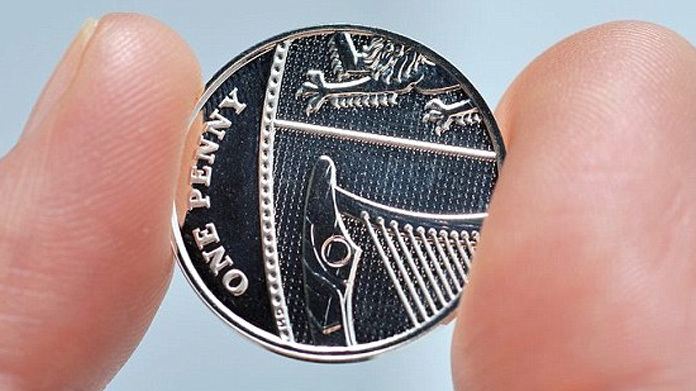 Those familiar with our clients will know that we have the pleasure of working with The Royal Mint. Now in order to mark the birth of the new princess we cooked up the idea of offering up to 2015 of their lucky silver pennies to newborns who share the royal birthday. It follows something not dissimilar we came up with for George, so we thought a new tradition was in order. In truth the whole campaign kicked off a month or so ago with the announcement that we’d be offering the coins – so the media would be expecting us when the birth came around. That announcement was gloriously widely reported with coverage including Daily Mail, Daily Mirror, Daily Telegraph and a heap of others. Even the lifestyle media got involved with Yours, Closer, Best and Female First. The next step obviously took place this weekend as we were hitting the phones once again. First to announce that our coins would be on offer – reported across a host of nationals including the BBC, ITV News, Daily Mail – along with a host of others too numerous to list. Then some fancy footwork meant that we were able to bag a series of pictures of the proud new parents who were the first to receive the new pennies – picked up by Daily Mail, Daily Express, Evening Standard and LOOK. And as if all that weren’t enough we then went on to announce that, alongside our gift to the nations new parents, The Royal Mint has struck a commemorative £5 coin to mark the new arrival. So far, coverage for that has come across another host of titles, including pieces across BBC, SKY News, Daily Telegraph, Daily Mail, Independent, Daily Express. For many the Bank Holiday has been a peaceful break after a long week. For us it’s been an exhausting but successful succession of media opportunities neatly take advantage of by our merry team of publicists and newshounds.